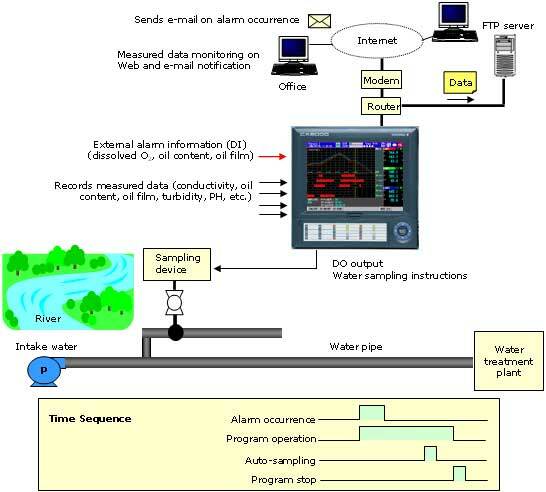 Continuously records parameters of water quality such as conductivity, turbidity, PH, dissolved O2, etc. Enable monitoring of measured data on the Web. Enables sending of e-mail upon occurrences of alarms. CX defines the next generation in process control by fusing recording, control and networking into a single, compact product.